Video games and consoles can become a very expensive hobby. But if you know how, where and when to buy – cheap PS4, Xbox and Nintendo games are easy to find. I’ve always been a gamer – from PC games (had my first PC 31 years ago…), to console games (From my very old Phillips gaming machine to my PlayStation when it was called just that – no numbers after the name). But video games are expensive, and if you’re not careful, you might end up spending thousands of pounds every year. Worry not! 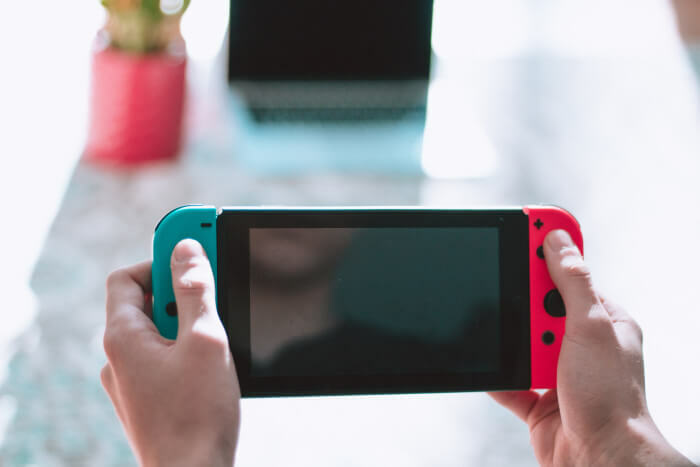 As a frugal gamer, I always work hard to find the cheapest ways to buy video games – and in this post, I’ll share these tips and tricks with you. In this article, I’ll focus on console games (as in – PS4, Xbox One, Nintendo Switch, etc’), and not PC games. The reason? PC games are a bit of a different beast, with most of the purchasing done online these days. Console games, however, are still often bought with actual physical copies. Here are some of the methods I use to lower my gaming costs – as well as a few recommended places to buy from. 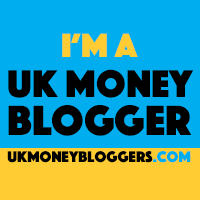 (Some of these links are affiliate links, which might earn us a referral fee, at no extra cost to you). The Bottom Line – Video Games Can Be Cheap! In most cases, there’s really no need to buy a “new”, sealed game. This isn’t a mattress or a shirt where you might be wary of buying a used product – the game behaves the same, no matter how many times it’s been installed from that disc. Now, true, some games try to limit re-selling by adding online “codes” for additional game features that only work the first time you use the code – but these limitations are often, well, limited – and in most cases you can buy these added features online, directly, by adding a few quid. Savings Potential: 5%-10% On the newest games, and up to 80% on older titles. CEX is a UK-wide second-hand products chain, that specialises in technology and video games. 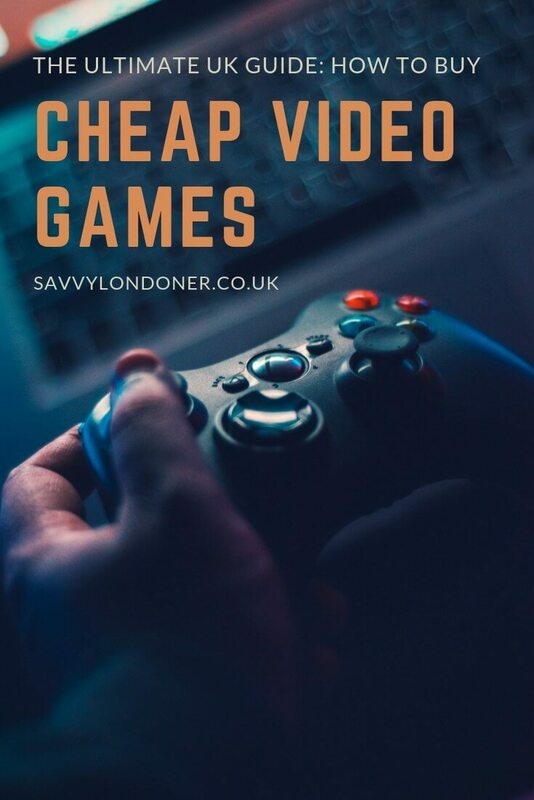 They have plenty of stores around London and the UK, and some of the stores have thousands of used video games for practically every gaming console. The prices are competitive, though you should always compare prices – on occassion, you might find new games on sale for the same (or even cheaper) price elsewhere. If you re-sell your own used games, you can get either cash or a higher-valued store credit voucher, which you can then use… to buy even more games. You can find your nearest CEX store here. They also have an online store, called “WeBuy”. GAME is another country-wide retail chain, that sells both new and pre-owned video games and gaming equipment. Their brand-new games are usually pretty expensive, so I wouldn’t buy them there unless there’s a special offer – but they also sell pre-owned games for competitive prices. You can see their selection of pre-owned games via this link. eBay needs no introductions, and you can find plenty of used video games on the platform, from a variety of sellers. As with every purchase on eBay, make sure you only buy from sellers with a high feedback rating. See video games (new and used) on eBay UK via this link. Boomerang is a video game rental service (see my review further down) – but they also sell some of their pre-owned games (which were used as rental copies). Their prices are not always as competitive as those on CEX, for example, but sometimes there ARE good bargains to be had. Why even own the game, when you can just rent it? With a monthly subscription (that costs much less than a single game in most cases), you can order games (one or more at a time, depending on your subscription tier), play until you get tired of them, send them back by post – and get a new game from your queue. I particularly like this option, because I get to try games I wouldn’t have bought otherwise. If I like them, I just play until I get tired, and then send them back. The savings can be tremendous, with one caveat – open-world games which are particularly long, might not be best-suited for this model. The reason? If you keep the same game for 4-5 months, you’re not saving as much and might be better off buying it outright. One more thing to keep in mind – there’s usually a lot of demand for the newest games, so you might have to wait a while before you get them. If you HAVE to have the latest, hottest game on the day of release – you might still have to buy it. 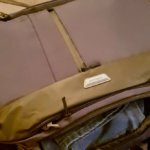 I use Boomerang Rentals – they’ve been around for a long time, and even though their website is in serious need of some upgrading, their service is reliable and quick (at least in my experience). They send you the games by post, with a pre-paid return envelope which you use to send the game back when you’re done with it. Boomerang offers several subscription packages, depending on your needs: The highest tier costs £15.99/m and lets you keep two games at the same time, including the newest releases (plus, you can return and replace these games for an unlimited number of times every month.) Additionally, it gives you priority in getting the newest releases on the day they’re released – since those are always in high demand. There are lower price tiers, that offer just one game at a time, and even a £3.99/m package, that lets you keep one game at a time – but only games that have been out for more than 6 months. If you don’t need the latest games, this is a true money saver. Oh, and if you like a game that you’re renting, you can purchase it for a reduced price (as a pre-owned game), without having to send it back. You can get a 21-days free trial with up to three rentals to test Boomerang out – learn more here. Sony and Microsoft both have online stores where you can buy and download PlayStation and Xbox games directly. You can pay for those games directly (with a debit/credit card), or with gift cards/topup vouchers. But here’s a secret not everyone knows – you can purchase PSN/Xbox gift cards/topup cards for LESS than their worth in a few big online stores. How does it work? You buy, for example, a PlayStation Network (PSN) voucher that’s worth £50 – but you only pay £45 (the actual prices vary with special deals and offers). Then, you get the voucher’s code via email, and redeem it directly on Sony’s PlayStation Store website. At that point, you have a £50 credit which you can use to pay for anything in their online store – including new games or games on special offer. Where Can I Buy Discounted Video Game Vouchers? Some places that sell these discounted vouchers are not very reliable, but I’ve used two that have, at least so far, worked well for me. (Though, fearing scammers, their new customer verification systems are sometimes a bit of a hassle). CDKeys – A popular site that’s been around for a long time (they also sell cheap PC games). You can check their discounted PSN Cards here, and their discounted Xbox Gift Cards here. G2A – Another popular site that offers a variety of discounted gaming topup cards – check out their current selection here. Joining these services can be done either by paying Sony/Microsoft directly, or with vouchers bought elsewhere. The trick? CDKeys comes to the rescue again – with annual vouchers for these services that are cheaper than what you would normally pay directly. The level of discount changes occasionally, and usually ranges between 10% and 35%, and depends on the length of the subscription you’re interested in. PlayStation Plus vouchers can be found here and Xbox Live Gold vouchers can be found here. Sometimes you want new games – either because they’re the latest releases and you don’t want to wait, or perhaps you want to give one as a gift – or simply because you saw a really good price on a brand new, unused copy. If you ARE going to buy new games, however, you can still save quite a lot of money, by buying from some of the cheaper retailers. The discounts and offers change, of course, so it’s always a good idea to do some market research. The PlayStation Store – Sony’s own download store saves you the hassle of going into a high-street store. And, they have bi-monthly deals – so it’s always worth taking a look. The Xbox Games Store – Microsoft also offers a direct way to buy and download Xbox games – with weekly bargains and deals. The Nintendo eShop – Nintendo’s shop also offers downloadable games, free demos, and a changing selection of bargains. Amazon – Surprisingly, Amazon is not always the cheapest place for new video games. But they do, on occasion, have some good offers, so you can start by looking here. 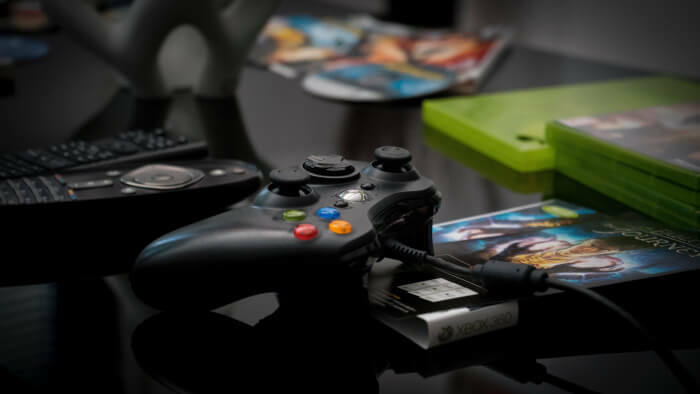 Shop.To – A popular store with games (and accessories) for all the major consoles. Their prices are often great, if you’re willing to dig in a little. See what they have here. Base – A big online entertainment store, they often offer good deals on games for all the major gaming consoles. Check their selection here. 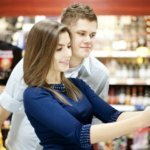 Supermarkets – OK, hear me out there – normally, supermarkets are not a good place to buy new games. However… occasionally, when stores look to get rid of stock they no longer need, they have “Reduced to Clear” prices, and you can find a game (not a particularly new one, usually) for a bargain. So it’s worth a look. Pound Stores – Not all pound stores sell video games, and the ones that do usually have a small selection – but there are bargains to be had. But the games won’t cost you a pound, mind you – usually more like £5. The spoils go to those who wait, the saying goes – and it’s especially true when talking about video games. Newly released games cost £50-£60, but if you’re willing to wait – even just a couple of months – the prices drop (sometimes considerably!). Plus, the longer you wait, the more cheap options you’ll have – from pre-owned games to quick rentals and good bargains. You just have to know where to look.